Well endowed K24 News anchor Eric Njoka is one of the media personalities said to be giving ladies sleepless nights with his charming looks. 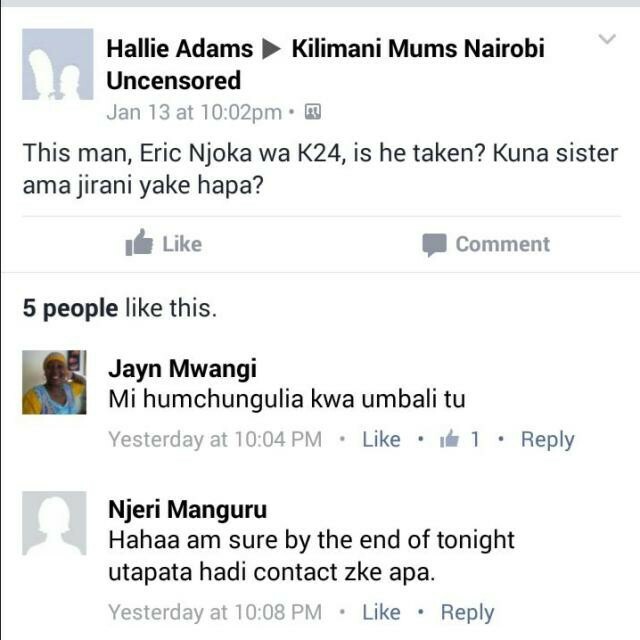 The news anchor came across a post from the ‘notorious’ gossip facebook group Kilimani mums as a lady was asking if he is in a relationship or not. 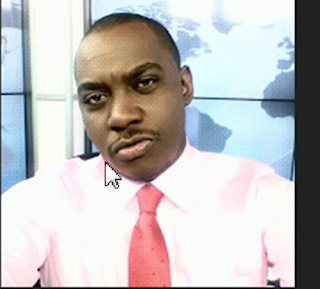 The news anchor seemed astonished by the post as he could not expect it to come from that facebook group which has been known for the wrong reasons for a while now. Haiya mpaka kwa kilimani Mums!!! hahaha woi, nime kwisha sasa dooooh”. Erick Njoka posted on social media accompanied with the screen shot below.